This is a journey of contrasts. 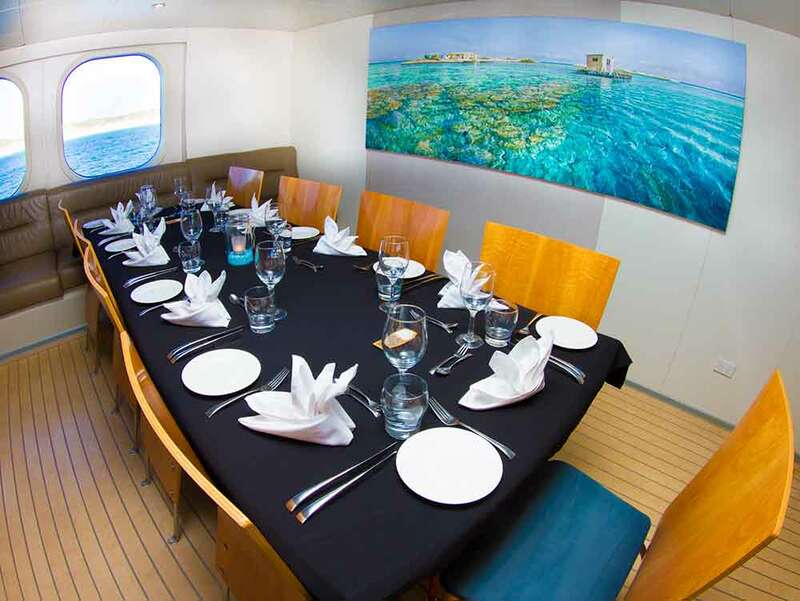 The True North is an elegant, white modern cruiser with all the latest refinements – like a luxurious forward observation lounge and excellent cuisine prepared by chefs who understand sophisticated palates. 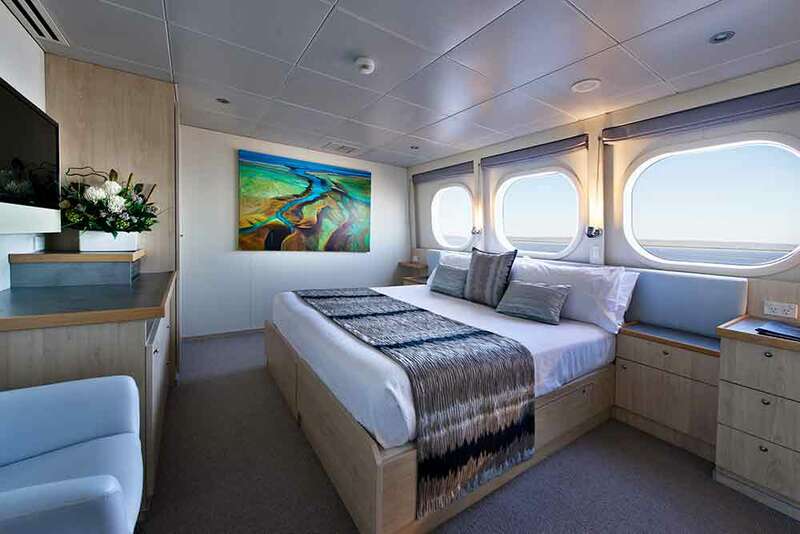 The staterooms and cabins are spacious, with designer bathrooms and large windows, so you don’t miss a moment of the passing shoreline. There is an al fresco bar and internet café, so you’re never out of touch. 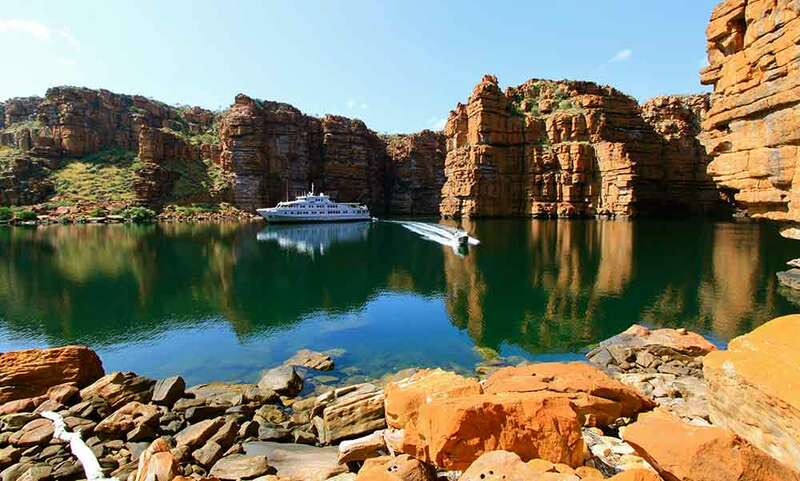 But the True North was also designed to have a particularly shallow draught, so she is capable of taking you to the most inaccessible places and far into the most remote river systems on the Kimberley coast. 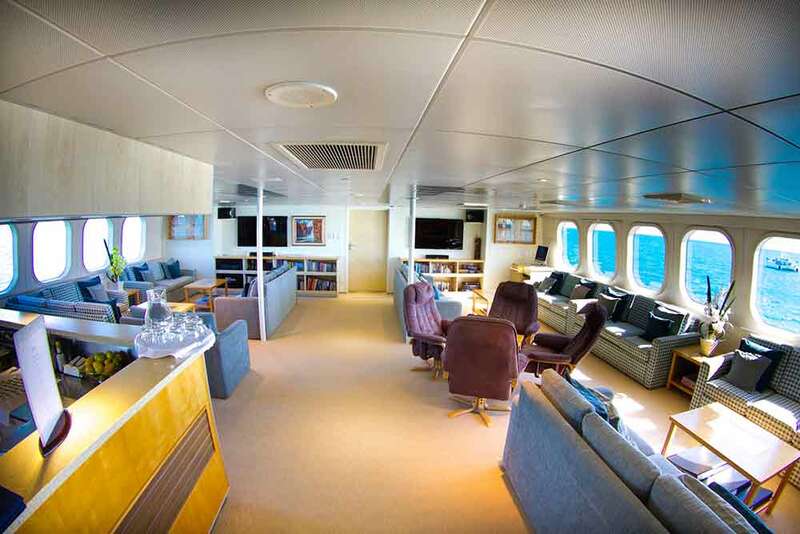 Which means you can cruise right up to completely deserted beaches and explore inlets that teem with wildlife. You can see spectacular waterfalls and photograph awe-inspiring gorges and ravines. 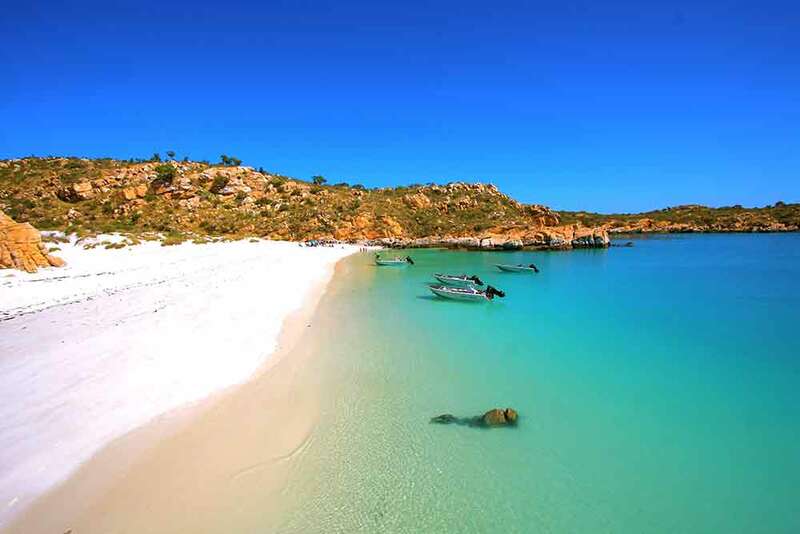 You can take excursions ashore to visit ancient cultural sights and see centuries-old indigenous rock art. 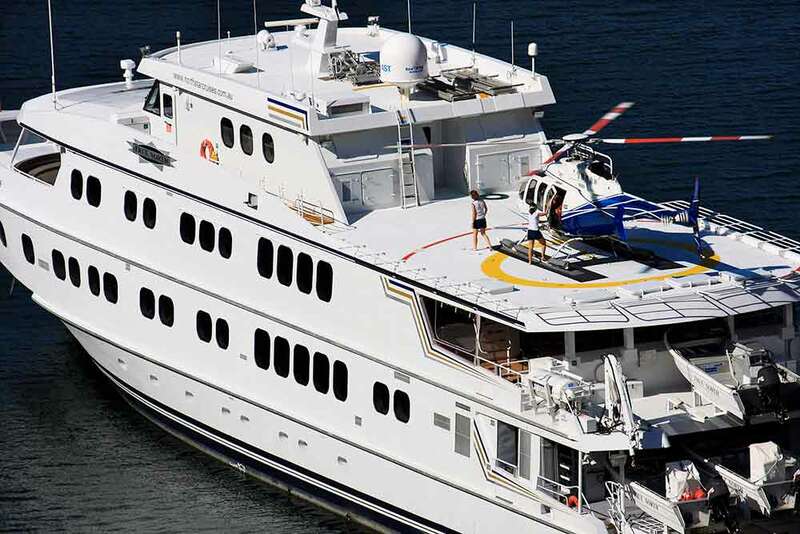 You can choose to cruise to iconic destinations like the King George Falls, the Horizontal Waterfalls and the Hunter and Prince Regent Rivers. 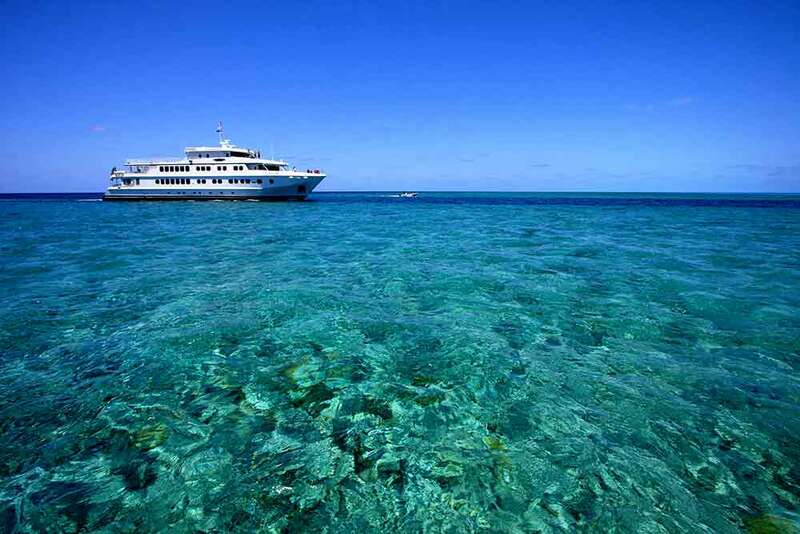 You can experience thundering cataracts and isolated billabongs, or go fishing for barramundi and giant trevally. 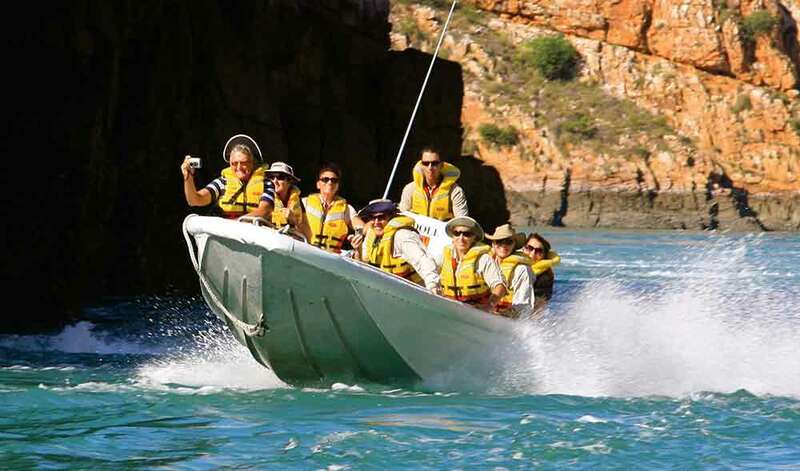 You can even – on many cruises – take a private helicopter flight over the Kimberley Wilderness. 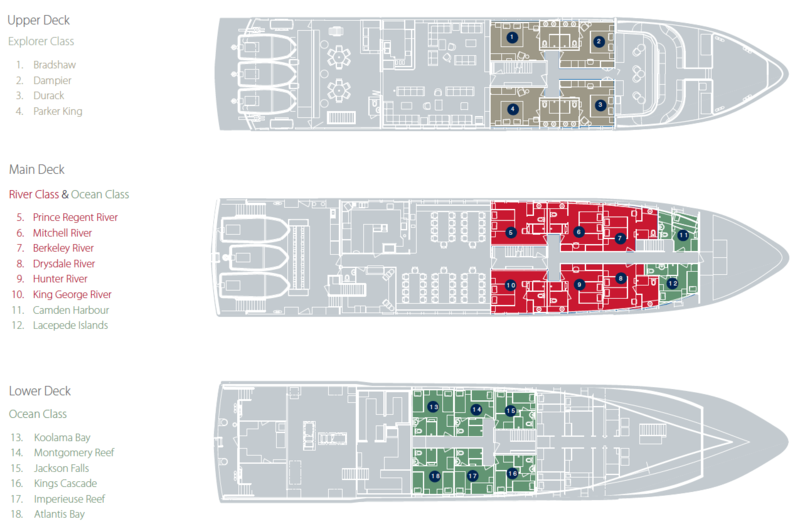 Where will True North take you?